14. Compensation and Benefit: As per Government Pay-scale. 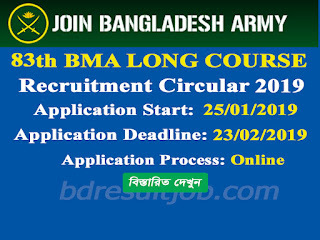 After payment complete Every applicant can download call up Letter login with User Id and Password at https://joinbangladesharmy.army.mil.bd/login. After payment complete Every applicant can download call up Letter mansion seat plan. login with User Id and Password at https://joinbangladesharmy.army.mil.bd/login. 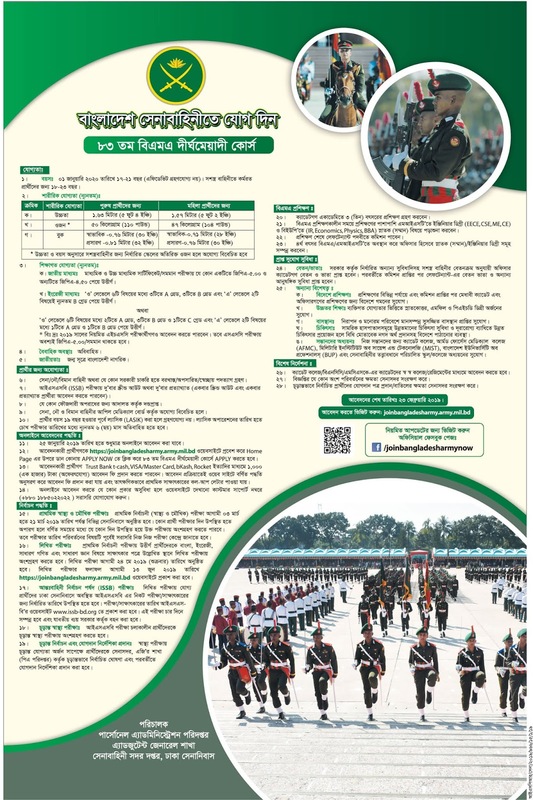 Bangladesh Army Recruitment Authority will published Their notice board. Also you can visit update news at notice board www.joinbangladesharmy.army.mil.bd. 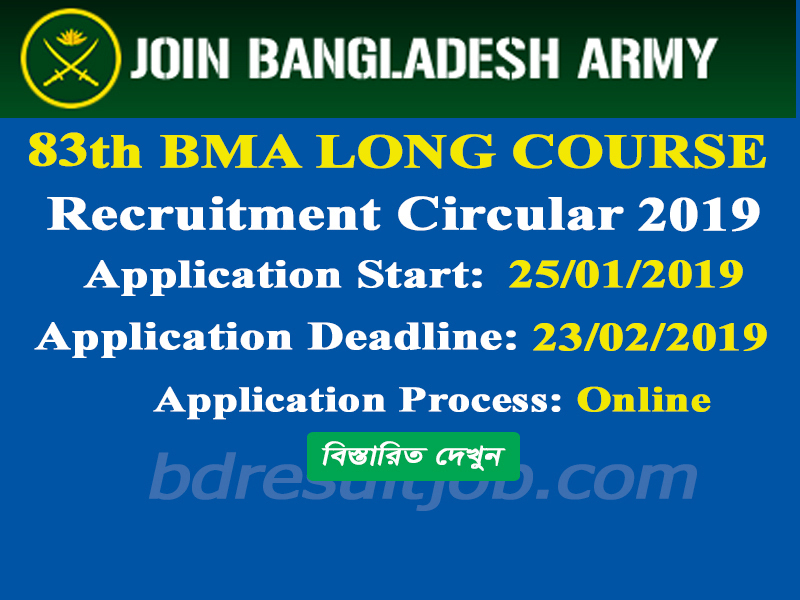 Tags: www.joinbangladesharmy.army.mil.bd, www joinbangladesharmy army mil bd, Bangladesh Army Recruitment, BMA long Course 82th Cadet circular 2019, BMA long Course 82th Cadet Cadet Apply Online, 83th-BMA LONG COURSE ISSB Result, 83th-BMA LONG COURSE Final Selection Result, 83th -BMA LONG COURSE Medical Selection Result 2019.
www.joinbangladesharmy.army.mil.bd, www joinbangladesharmy army mil bd, Bangladesh Army Recruitment, BMA long Course 82th Cadet circular 2019, BMA long Course 82th Cadet Cadet Apply Online, 83th-BMA LONG COURSE ISSB Result, 83th-BMA LONG COURSE Final Selection Result, 83th -BMA LONG COURSE Medical Selection Result 2019.